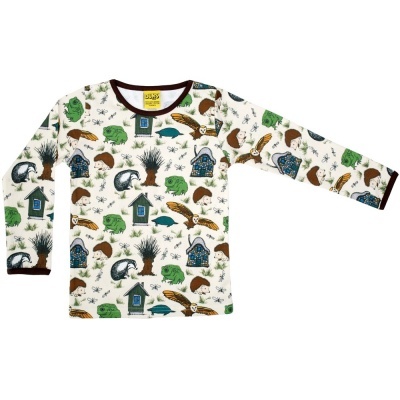 Long Sleeved T-shirt from Swedish designer Duns. There's lots of activity on the riverbank. 100% GOTS certified organic cotton. Long Sleeved T-shirt from Swedish designer Duns. There's lots of activity on the riverbank.